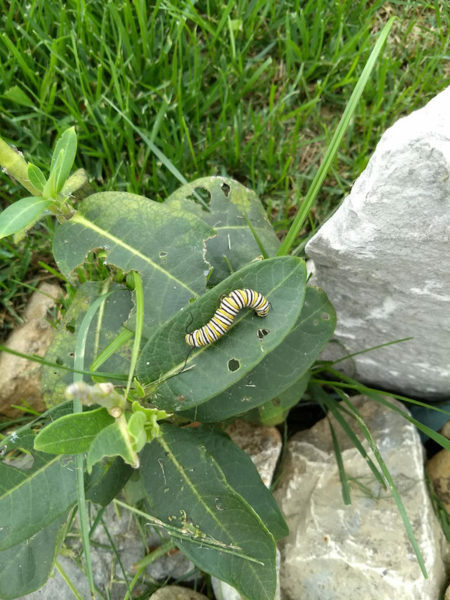 The Powell Memorial Butterfly Garden & Monarch Waystation in our Native Prairie Grass and Wildflower Habitat is a great spot to see monarch caterpillars this week! These real-life very hungry caterpillars hatched from their eggs and immediately began feasting on milkweed. 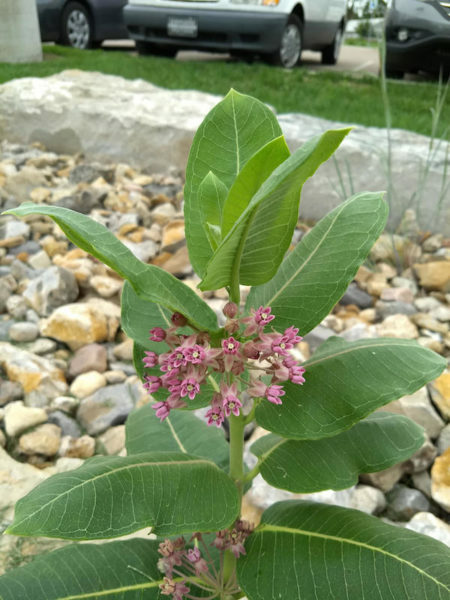 Milkweed is vital to reproducing monarch butterflies. They lay their eggs on the leafy plants, and it serves as food for their caterpillars. Monarchs can't reproduce without these plants, so planting them is a great way to support butterflies and other pollinators. 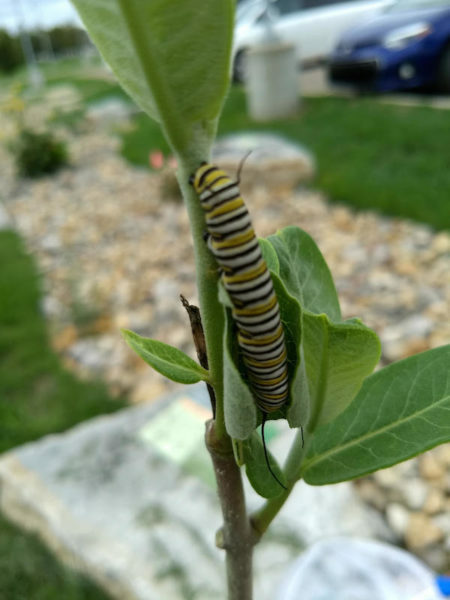 Just how hungry is a monarch caterpillar? These voracious eaters will eat 200 times their birth weight in milkweed in two weeks before turning into a chrysalis. If human babies ate like that, they would drink more than 100 gallons of milk every week! Be sure to take an extra moment on your visit to the Kansas Children's Discovery Center to get into the weeds and look for these distinctive yellow, black and white caterpillars. It's serious fun!